** FREE POSTAGE within Australia, postage overseas at cost -- Note: Postage will be added automatically when you place an order, but I will adjust the postage cost when the order is processed. ** The army of Maximilian I fought in most of the wars of the late 17th and early 18th century including the wars of the Grand Alliance and The War of the Spanish Succession. 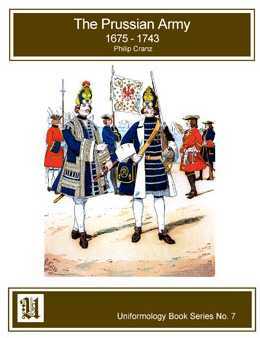 Their infantry uniforms were cornflower blue, a color that would characterize them for the better part of two and a half centuries. 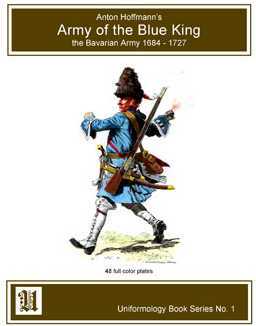 In the early part of the nineteenth century, the famous German artist, Anton Hoffman produced a volume of black and white illustrations called The Army of the Blue King and we offer 48 of the plates here, masterfully reproduced in vivid color. There are notes on each plate which include the infantry, cavalry and artillery of this important military force. This item was added to our catalog on Thursday 08 February, 2007.